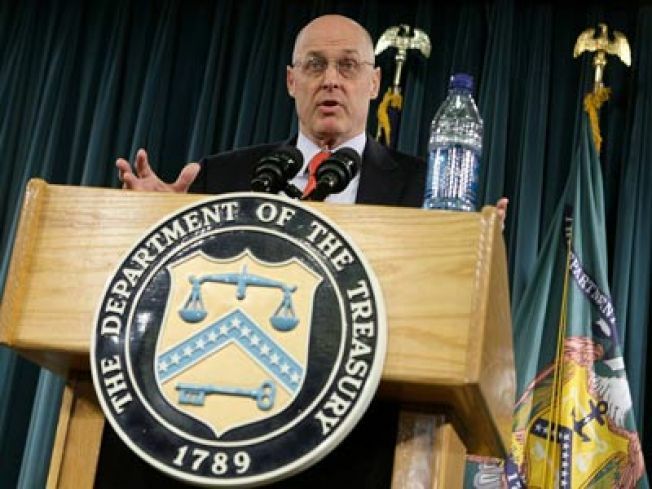 Treasury Secretary Henry Paulson said a change in strategy was necessary in the bailout of the banking industry. Treasury Secretary Henry Paulson defended his decision to change how the $700 billion financial bailout fund is used, telling CNBC that the spreading credit crisis forced the government to focus on injecting capital directly into banks instead of buying up toxic mortgage assets. "By the time the process with Congress was completed, it was clear that we were facing a much more severe situation than we had envisioned earlier on," Paulson said in a live interview. "We have this limited pool of resources—big, but limited, $700 billion—and how do we use that, and get the maximum impact, and it's by putting capital in (banks)." Paulson told a news conference on Wednesday that he would use the remaining funds in the $700 billion fund on a second round of purchases of preferred shares in both banks and non-bank institutions. He also said the Treasury was working with the Federal Reserve on a plan to shore up markets for securitized consumer debt such as car loans, student loans and credit cards, which could help restore credit flows to U.S. households. "What changed was when we saw the commercial paper markets freeze up altogether, so good, mainstream corporations weren't able to raise money," Paulson said. "The major purpose of the TARP was to stabilize the financial system, first and foremost, and the number two, to get lending going," Paulson added. "I think the system has been stabilized. I don't think people are going to bed at night wondering which major financial institution might have a problem." Still, the change in strategy has been sharply criticized in Congress and Wall Street. Earlier Friday, a House committee took one of Paulson's deputies, Neel Kashkari, to task for what one member said was "a bait and switch." Paulson again deflected such criticism, saying he was obligated to change strategies as the situation changed. "You're never going to get me to apologize for being so prudent as to change a strategy when the facts change, and to do it in a way that protects the taxpayer," he said.